Hi everyone! I can't believe we've already made it to part 3 of the Emily Awards! This video was probably my longest editing process yet. I can't believe how much I can talk about lip products... probably my most obsessed-about category of makeup! You may notice a lot of repeat favorites, but there are also lots of NEW favorites in the different color families this year. With the color categories, there is no specification in terms of high end or drugstore... it could be either. Some of my priorities with lip products include the texture & feel on the lips, as well as color variety and ease of application. As with my other Awards lists- some categories just don't have a favorite! *Denotes the number of years a product has won. This is the fourth year for the Emily Awards. Don't miss the FINALE coming soon! I love Emily awards and I am glad Revlon lip butters made it to the awards. They are my absolute favorite these days. I love Emily Awards too!! As always, your reviews are very helpful and informative! Thanks so much! And thank you, thank you, thank you for letting us know that "what you see in the tube is what you get" with the Revlon glosses. I have wasted so much money on glosses, trying to guess what they'd actually look like on the lip and getting it wrong--it is really not amusing. Glad to know there is a fairly predictable brand! None of the Revlon products are cheap, but I'm willing to pay their prices if I know what I'm getting. Lipstick: NYX Ultra Moist Lip Wear in Sheer Red***' but ur vid says 'NYC'. Hey emily! GREAT video/ blog post! Thanks so much for all the hard work! It's very appreciated :) I noticed you put NYX sheer red instead of NYC, just caught it and thought I would let you know! Thanks again! Love that you added shade recommendations. I actually have a lot of your shade recs and agree with all of them. LOVE THIS. Hi Emily, Long-Time viewer of yours here! I absolutely LOVE your Emily Awards. I do have a question about something that was not included in the awards for lips. You didn't mention any lip stains that you like. 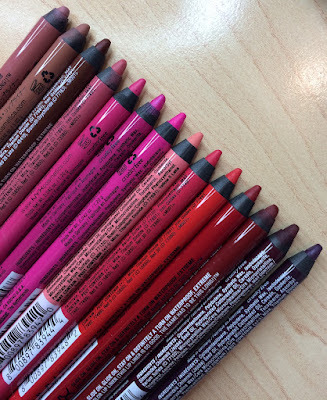 Do you have any lip stain favorites??? Hey Emily! Love your videos. I'm always excited when you upload a new video. 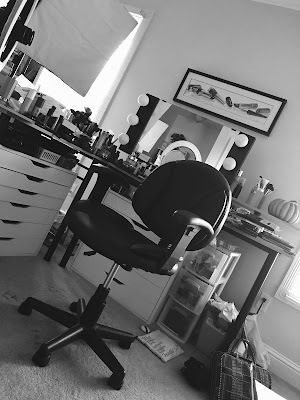 I've learned so much from you, and you inspire me to create a beauty blog. Emily, I love your videos so much! Watching you has inspired me to start my own channel and blog. Even though I'm not really a makeup person, I'm so curious to try all the stuff you review in your videos because you are so thorough and informative. You have such a sweet personality, I always look forward to when you have a new post. I guess why people like you so much is we feel as if we are your friend, even if we don't actually know you. Definitely my favorite guru of all time. Love all of your videos. Did you know that the EL Lavish Pink lipstick was a limited edition and is no longer available?